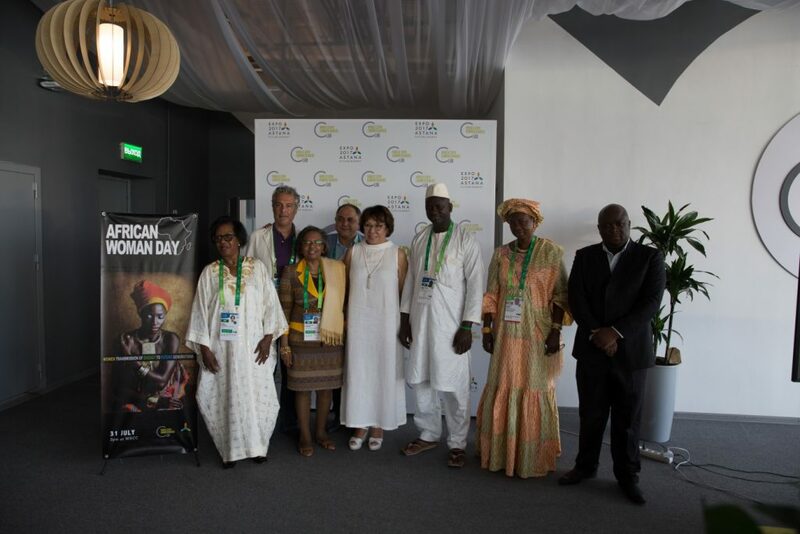 On July 31st it was celebrated the day of African women in Kazakhstan for the first time on the initiative of the Ambassador of Angola and with the support of the Embassy of South Africa, the commissioners of the African section and the WECC within the framework of the International Exhibition EXPO 2017. During the event, a forum of successful women was held, the participants of which shared success stories, and a defile of models in clothing from African designers. Honorable guests of the event were the Ambassador Extraordinary and Plenipotentiary of the Republic of South Africa to Kazakhstan and the Commissioner of the South Africa section at EXPO 2017, Keitumetsi Seipelo Tandeka Matthews, the General Commissioners of the Madagascar Pavilion Tovonirina Ratcimbarison and the Angola pavilion Albina Asis Afriko, the Minister of Commerce of the Republic of the Gambia, Dr. Isatu Torei.